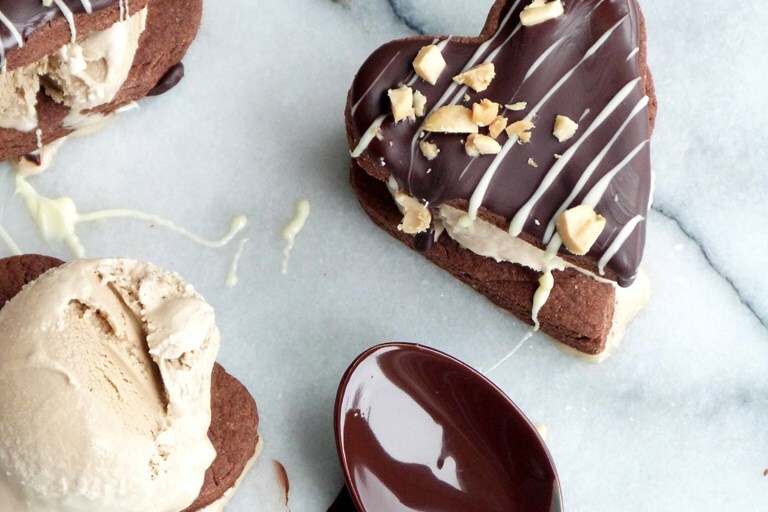 Ice cream sandwiches are an ultimate treat, and Rukmini's versions include thick chocolate and peanut butter biscuits with a rich coffee ice cream filling. 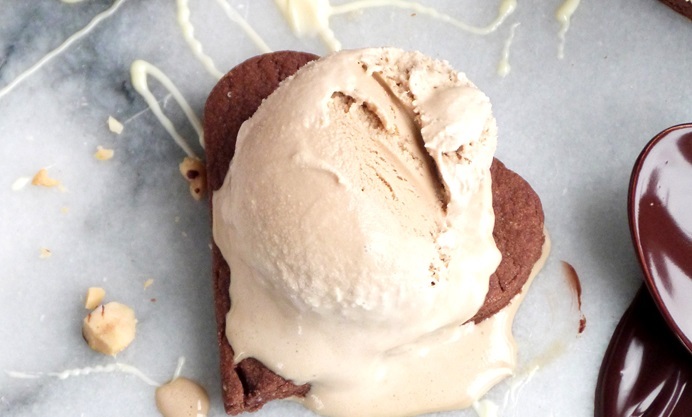 In this recipe, the dense, peanut-spiked chocolate biscuits provide a perfect, almost savoury contrast to the sweet and bitter coffee ice cream, with added crunch from the salted peanuts to finish. The biscuits will keep well in an airtight tin for a week, so you can make up the sandwiches as and when during the week for a coffee-chocolate fix. As these particular biscuits were made with the ice cream in mind, they’re a bit intense to snack on by themselves. Having left a career as a lawyer to pursue her foodie passions, Rukmini went on to work at Tom Kitchin's The Kitchin in Edinburgh. She is now a food stylist, food writer and recipe developer based in London, and is the author of The Roasting Tin.